Ever heard of Mandroid Echostar? No? Well, take that name and commit it to memory because I think you’ll be hearing a lot more about this young progressive metal sextet. The group’s new full-length Coral Throne dropped recently and one listen will tell you that the band has promise. Coral Throne is a combination of melody-driven progressive metal with rock sensibilities. 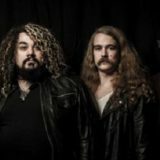 Mandroid Echostar is made up of a group of guys that have some seriously impressive chops and know how to employ them to make catchy, groovy tracks. Coral Throne showcases a band that is in synch with one another and focused on songwriting as opposed to simply dropping some jaws. The music not only captures their individual talents but fuses them into a collection that takes the listener on a trip with peaks, valleys, twists, and turns that will have them nodding along entire time. It has become a pretty common thing in metal these days for bands to try to out-shred everyone else. While I do enjoy shred fests, sometimes the song can get lost in the wankery, so I can certainly appreciate bands that clearly have the capabilities, but restrain themselves. That restraint can make a pretty big difference in how the songs come across and whether they will leave a lasting impression. 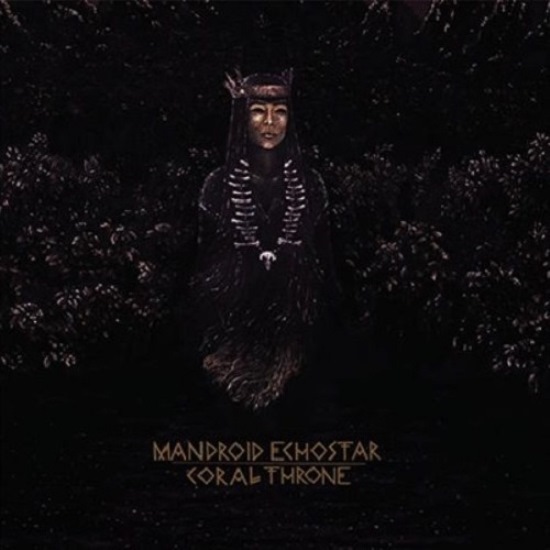 Mandroid Echostar has their work cut out for them, because Coral Throne is a damn good album. How they’re going to top it is beyond me, but I’m sure they’re up for the challenge. Check it out for yourselves below. Coral Throne was release January 15th through Distort Entertainment/Fontana North and is available for purchase here, here, and here.